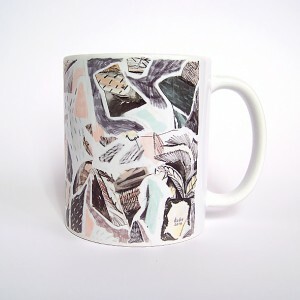 A ceramic mug adorned with an original “Koba” illustration. 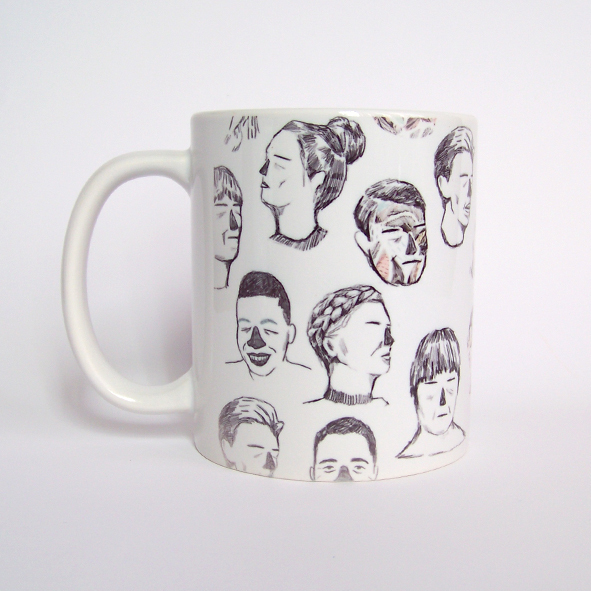 The Faces-Mug forms part of my first collection of mugs and was also featured at the Design-Indaba | Emerging Creatives 2016. 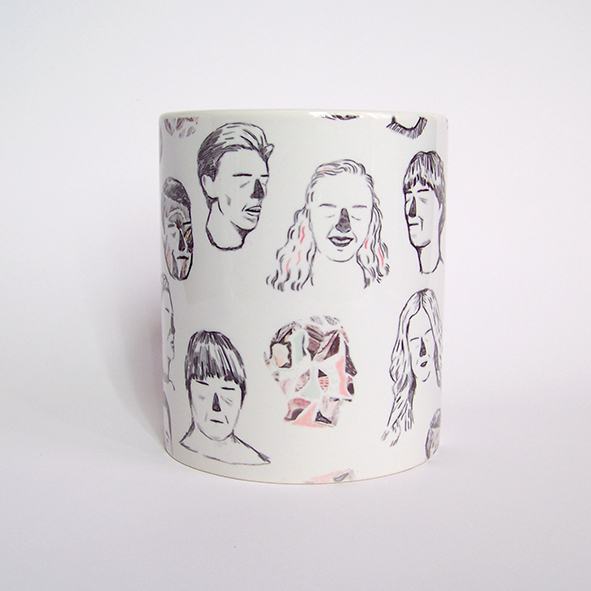 A ceramic mug adorned with an original “Koba” illustration. 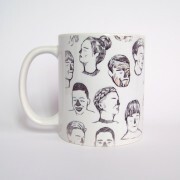 The Tiny-heads on this mug belong to all the GIF-animation characters I created throughout the past year. 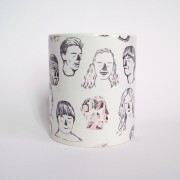 They brought me so much joy I had to immortalize them in mug-form! 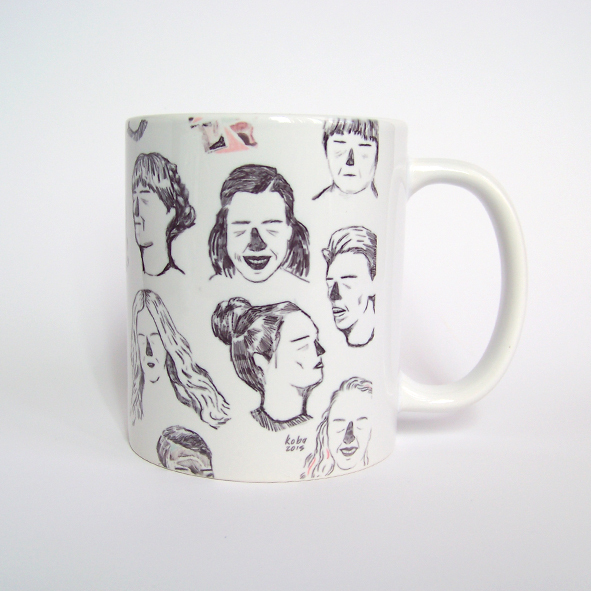 Limited edition of 100 mugs. Designed and printed in South Africa. 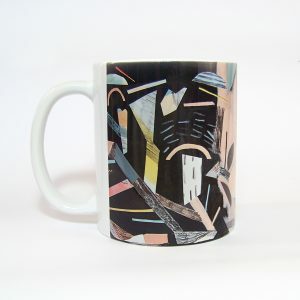 The illustration on this mug is adhered through the process of sublimation, which permanently fuses the graphics to the mug. 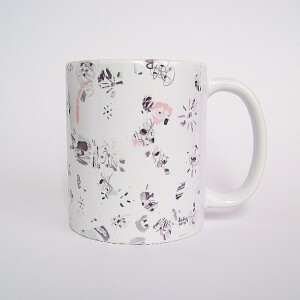 The mug is microwave and dishwasher safe, but I would recommend hand washing where possible to keep the print vibrant and working at its full potential! I ship orders within approximately 1-3 days of receiving your order.